Born on 20 September 1948 in Tavea Bua, Usaia Sotutu started competing in athletics in 1964 as a 16 year old. 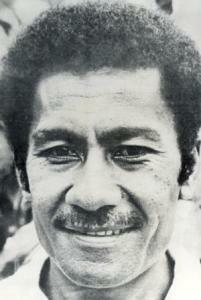 In his first appearance for Fiji in the 1966 New Caledonia South Pacific Games Usaia won the gold medal in the 10,000m. In 13 years Usaia Sotutu appeared for Fiji in five South Pacific Games winning 8 gold and 4 silver medals. In Championships, 1971 World Games in Stockholm and 1972 Munich Olympic Games. His performance in the 3000m steeplechase as the time was regarded as a world class, and today in Utah he is listed as one of the top six of his era. Usaia Sotutu now lives with his family in Kent on the West Coast of the United States of America.